Primarily used as a spread for a wide range of foods and desserts, Pure Maple Cream is one of our exciting new products. We make our Pure Maple Cream by boiling natural, pure maple syrup, since this makes it even sweeter. After it is cooled, we stir it into a smooth cream texture. Best of all, we do not add any additives or unnecessary ingredients to the mix; you get exactly what you want, which is a cream that is made from pure maple syrup! Our customers love to use our Pure Maple Cream at the breakfast table, since it is the perfect complement to a variety of early morning favorites, such as bagels, toasts and doughnuts. As well, it is a tasty texture to add on pancakes and waffles instead of syrup, since our cream will provide a drier and bolder maple taste. 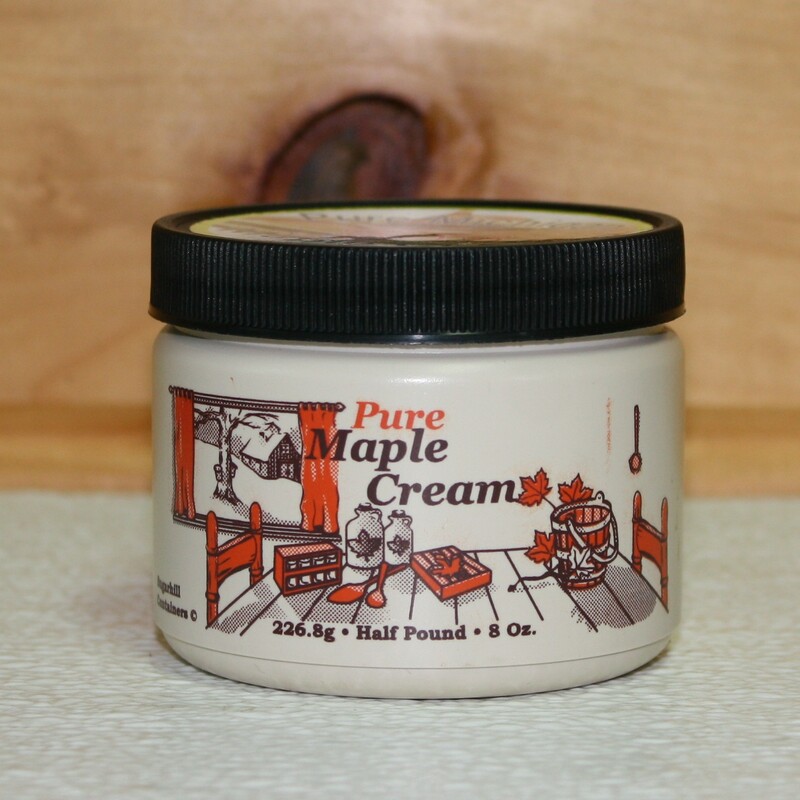 Depending on your specific needs, we sell our Pure Maple Cream in two sizes; either in a pound or a half-pound container. You can either stop in to our store in Shelby, Michigan, to grab some, or of course, you can always place your order online and we will ship it to you right away.